PT Pertamina (Persero) - Pertamina (hereinafter referred to as "Pertamina Group") is the Indonesian state-owned energy giant. Pertamina Group is 100% owned by the Government of Indonesia through the Minister of State-Owned Enterprise (SOE) as the Shareholder Proxy. Pertamina Group is based in Jakarta and has core business focus on integrated energy industry, both upstream and downstream activities Its business include oil and natural gas, renewable and new energy. As of December 2015, operations are supported by a total of 6 Refinery Units, 8 Marketing Operation Regions, 591 LPG Filling Stations, 63 Aviation Fuel Depot, 19 LPG Terminals, 3 Lube Oil Blending Plant (LOBP), 112 Fuel Terminals, 1,972 Gas Pipelines, 5,270 Public Fuel Filling Stations (SPBU), 34 Fuel Gas Filling Stations (SPBG), 135 Special Terminals, 214 Harbours, 19 SPM (Single Point Mooring), 17 STS (Ship to Ship), 12 CBM (Central Buoy Mooring), 25 Subsidiaries, 6 Associate Companies, 6 Joint Ventures. The Company also directly employs nearly 14,563 staff. 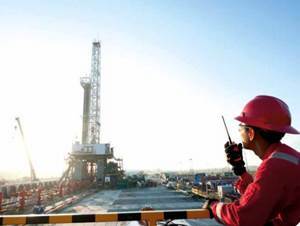 In term of financial performance, Pertamina Group booked total revenue of US$ 41.76 billion in 2015. This number is down 40.33% from US$ 69.99 billion in 2014 primarily due to lower oil prices. Total comprehensive income in 2015 was down 19.20 % at US$ 1.14 billion from US$ 1.41 billion in 2014, according to PT Pertamina (Persero) Annual Report 2015 as cited by JobsCDC.com. Background in Bachelor Degree (S1) in any field, preferably majoring in Accounting, Finance Management. Experience in the field of finance, preferably in the field of Accounting. S1 or S2 with at least 5 years experience. Background in Bachelor Degree (S1) in any field, preferably majoring in Management, Marketing Management. Experience in the field of Marketing and Sales, preferably in the field of Marketing Planning and Research / Channel and Consumer Management. Background in Bachelor Degree (S1) in Engineering, preferably majoring in Marine Engineering, Industrial Engineering, ANT, ATT, Mechanical Engineering, Electro Engineering. Experience in the field of Fleet and Port Management, preferably in the field of Shipping Operation. S1 with at least 5 years experience. Background in Bachelor Degree (S1) in any field, preferably majoring in Management, Marketing Management, Industrial Engineering. Experience in the field of Gas Commercialization and Trading. Background in Bachelor Degree (S1) in any field, preferably majoring in Economics, Law, Engineering or equivalent. JobsCDC.com now available on android device. Download now on Google Play here. Please be aware of recruitment fraud. The entire stage of this selection process is free of charge. PT Pertamina (Persero) - Recruitment Professional Officer GEBT Pertamina August 2016 will never ask for fees or upfront payments for any purposes during the recruitment process such as transportation and accommodation.